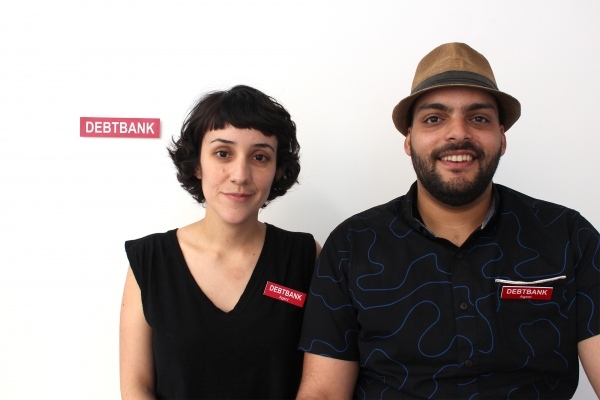 DebtBank is a collaborative project by Jeff Kasper and Alix Camacho-Vargas. 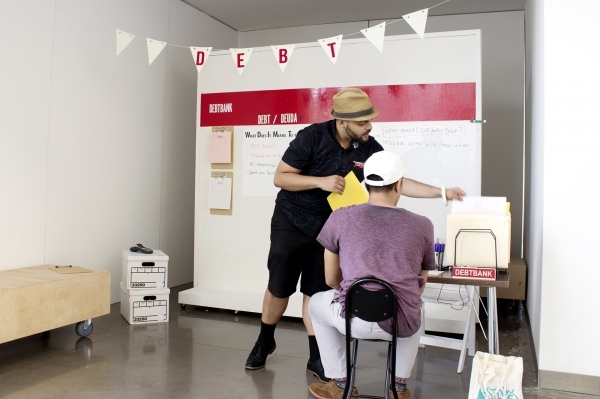 It is a surreal bilingual (Spanish/English) resource desk that is set up in various community venues, like museums and libraries, in order to provide a space where the public can ask questions or answer neighbor's queries about debt. Through participatory written propmpts and video diaries that spark dialogue and collect research, the project aims to: (a) visuaize debt as a shared phenomena while illuminating all of our experiences with debt; (b) provoke individual understandings of debt and autonomy while searching for creative solutions; (c) foster alternatives forms of crowd-sourced resource-sharing about economic equity.